Joining the Mt San Antonio College Music Department in 2016, trombonist and educator Dr. Karen Marston currently works with brass players in both applied and chamber settings, and teaches academic music courses. This appointment follows a fifteen-year tenure as an applied teacher and ensemble director at San Jacinto College in Pasadena, TX. 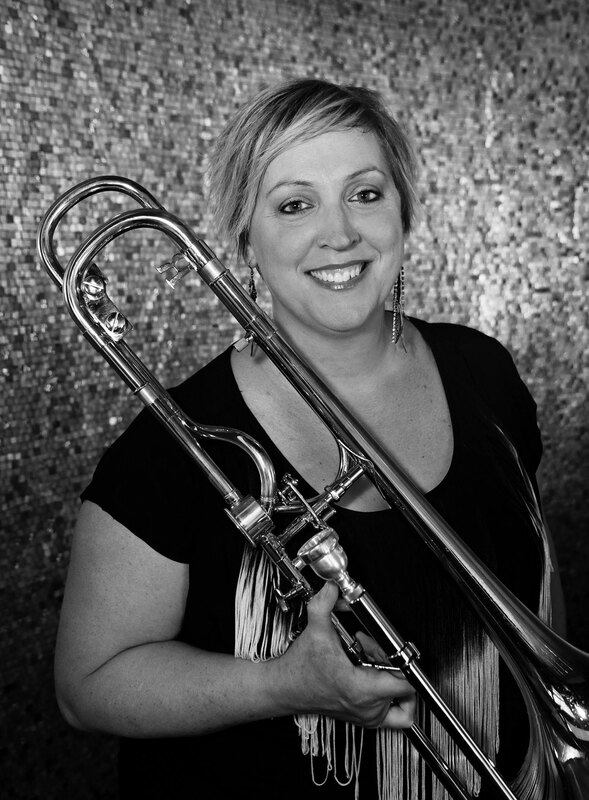 Karen holds degrees in trombone performance from the University of North Texas and Rice University, and both a masters and doctorate in music education from Columbia University, where she was the recipient of the Elin B. Stein Graduate Fellowship. Her teachers include Jan Kagarice, Dr. Vern Kagarice, Dr. Royce Lumpkin, and David Waters. As founder and Artistic Director of Omni Brass, a cutting-edge, multi style brass and percussion ensemble, Karen has performed and taught at venues and festivals around the world, including the University of Texas at Tyler, Baylor University, Lamar University, Texas A&M University Corpus Christi, the Texas Christian University Trombone Summit, the Houston Symphony League Chamber Music Series, the San Jacinto College Brass Symposium, Menil Fest (Houston), Café Corotu (Panama City, Panama), the International Trombone Festival at the University of Redlands, Metro Dances (Houston), and numerous middle and high school programs across the country. Karen has also performed with the Houston Symphony, the San Antonio Symphony, the Ebony Opera Guild, Orchestra X (Houston), the American Radio Chamber Orchestra, the Composers Orchestra of Houston, the Resonance Brass Choir, a national touring production of A Christmas Carol, and the west-coast tour of Alliance Brass. As a researcher, Karen has completed an extensive dissertation project focusing on the causes and pedagogical interventions relevant to focal task specific embouchure dystonia, and her work has twice been published in the Journal of the International Trombone Association. Dr. Marston’s arrangements can also be heard on both Omni Brass releases – The Red Album (2014), and Omnify (2016) – and are available commercially through Brassworks4. Karen has received performance and pedagogy grants from the San Jacinto Foundation, the Brown Foundation, the American Chamber Music Players of New York, and the Houston Arts Alliance. As Director of the International Trombone Festival, Dr. Marston is at the forefront of the trombone community, and enjoys collaborations with students, teachers, and artists from around the world. Karen is an artist for Rath Trombones, England.